The matte black Locus Shelf from Focal Upright Furniture is designed to be mounted on a Locus Desk; it provides a level surface for your computer monitor even when the desk is at full tilt. The shelf enables you to mount your monitor at the ergonomically recommended height and accommodates your water bottle and papers as well. 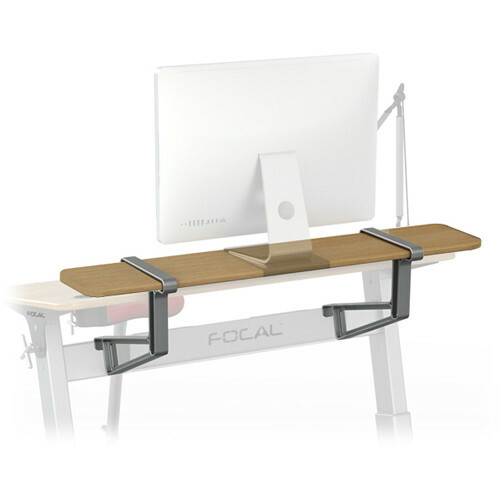 It is made of laminated furniture-grade plywood and attaches to your Locus Desk with the included silver powder-coated cast aluminum brackets.